We wanted to give you an update on our sweet Darcy. She is 2 years old now. We are so grateful for our beautiful girl. She is such a wonderful part of our family, and it’s hard to remember what life was like before she came to us. We’ve attached a few pictures. One is on her birthday. She wasn’t very thrilled about the silly crown we put on her, but she tolerated it because she knew a tasty breakfast was coming. Thanks again for all you do! We love our sweet Darcy. We have fewer and fewer under-sized pups. That will make many sad. Nevertheless, you cannot keep breeding back to the same lineage. New blood (such as Boone) brings depth and diversity to our gene pool. That is a good thing. We are thrilled to hear she is versatile on every level–the perfect fit for your hunting and the family life. What more could we hope? Thank you, ever so much for remembering us with this update. It means the world! Greetings from San Jose, California! Maverick celebrates his 2nd Birthday today and I wanted to give you an update. He is very energetic and non-stop, like the Energizer Bunny! A little 5-10 minute rest and he is ready for another round. Funny thing… about 8pm at night, he is ready for his snuggles with me on my bed. Once he has about 30 minutes of that, I tell him “it’s time to go to bed” and he jumps down and heads right to his crate. He has been crate trained since he was a puppy and sleeps in it every night and spends a few hours a day on it as well. Our 13-year-old Weim, Sawyer, has learned when it’s cold it is better to tolerate Maverick and let him cuddle for body heat. He LOVES going nuts from inside as he sees squirrels and birds out in our yard and does his “cry” to let him out for the chase. Bill, my husband, takes him pheasant hunting and reports that he had the natural instinct the first time he went out in the field last year and this year did an even better job of pointing, flushing and retrieving the birds. He is a fantastic family and hunting companion. Maverick is exactly what we wanted in a Weim and you delivered! We are thrilled Maverick is as advertised (so to speak). I think you folks know we take this process seriously. It is not our first placement with you. Of course, along the way to here and now, you have had a couple of Rescue Weims, too. We realize that it is a significant risk to trust us to do what is best. Thank you, for your loyalty and this update on Maverick. From the start we followed Owyheestars advice on crate training, freedom is earned. And our guy has earned his freedom. This is where he seems to all the sudden be grown up, but in reality, he’s been working on this since we first brought him home. Most days as of the last few months he spends very little time in his crate. Sometimes you’ll find him snoozing on one of the sofas, sometimes our bed, but most the time he opts to just follow us around the house. Henry has a definite bedtime, he gets sleepy around 8:30-9pm, cuddles until we go to bed, then happily goes to his crate for the night. Henry has also spent more time out of his crate when we leave the house too. It’s rare we all leave for more than a few hours, so he probably only gets left alone for 2-3 hours at a time. Not sure if I told you that Henry got a roommate last year, our cat Bill. When we first brought Bill home we separated them, mostly because Bill was tiny. Over the course of six months, Bill and Henry had more exposure to each other. Henry used to chase him every chance he got, but Bill always stuck up for himself. Never running under a bed, or a closet. He would just run under the dinner table and give Henry a few swats. Before long, Henry got bored of chasing the cat. He still does every once in a while, but as soon as Bill stops running, Henry walks away, I don’t think he actually wants to catch him, I think his dog instincts say “I must chase a moving object, oh wait that’s my friend, never mind” hahahaha. The only thing I can think to complain about is how often and how loud he barks. It drives us insane. When I am sleeping during the day he has to wear a bark collar. Although it doesn’t even need to be turned on, just putting it on him makes him stop. Henry is a very smart dog. I think the biggest factor to our success with him at this point is that 95% of the time someone is home with him, I also think it is, for this reason, we have dodged separation anxiety and Weim crimes. He loves to please his people. I don’t think our puppy days are gone, he is a Weimaraner after all, but I think they are getting fewer and farther between. He’s the most handsome and loyal dog, and almost two years since we adopted him, we couldn’t be happier with how awesome he is. You know, Weims are a lot of work, but I can say that after 2 years, all the effort we have put in to training him and being very consistent with him has paid off, and we are to the point we just get to enjoy the fruits of our labor. You know, Weims are a lot of work. Indeed! I think there are many reasons for your success–consistency, knack, and the desire to get the job done would head the list. There are so many ways things can go awry, to say the least. You have done well and Henry has an excellent life. Thank you, again. If you missed the first segment, Click Here. I am sitting in bed with my coffee and a snuggled in Weim laying over my legs, and I was thinking about how sudden it seems that Henry has transitioned from wild puppy to this mostly well-behaved dog. I’ve mentioned before that Henry excels in two sports, being very active, and being REALLY lazy. This works out perfect for us, I sleep during the day, and Kevin works from home, so Henry is pretty chill on work days. Unless of course, he sees me put on anything the resembles work out clothes, topped with my running shoes, he goes nuts!!! There are some days that I need to just get out really quick without distraction. I have to ask Kevin to hide Henry from me so I can leave the house. If this procedure isn’t followed, Henry literally whines for the entire time I am gone. We can’t say W.A.L.K. out loud anymore, he’s like a child who hears at some point we are doing something, then continues to ask over and over again about when we are going to be doing that said thing, he runs back and forth to each door, whines, etc. He loves his walks and loves them even more with his E-collar. Disclaimer, we live in the country with very little traffic, I would never allow Henry to go leashless other than around home. We’ve done our walk so many times, he knows the spots I reign him in, he heals (his version is just some part of his body near my heal) when he is too far away from me and a car is coming in either direction I tell him to sit and wait, I either release him when the car passes, or when I catch up to him I command him to heal, he does this until I say “ok” then he sprints away. He knows our turn around spots, and he always stays on the side of the road we are walking on. He has a few friends on our road that he runs fence lines with. A four-mile walk for me is probably 6 miles for him, between sprinting through fields and running with his friends. Lastly, it’s rare he breaks from my side when we see oncoming walkers with dogs. Sometimes I’ll have him heal, sometimes I’ll have him hold a sit until they walk past. The problem happens when he hears (always in a high pitched voice) “your dog is so beautiful” or some similar compliment. It’s like he knows they are talking about him and instantly he wants to be friends. By the way, all of this is with almost no electrical correction, we just use it because he is a dog after all, and you never know when you need to reign them in. Thank you, for sharing this information about Henry. Everyone likes to read what others experience–how they train and manage their Weimaraner. We so appreciate all you have done with and for Henry. Keep up your efforts. At two–you expect them to turn a corner. Nonetheless, many claim Weimaraner teenage flakiness can pop up even until they are past their third birthday. Then too–we are talking about the Weimaraner. Do they ever grow up? Good question. There are always the Weimaraner quirks and quandaries. Some of this is directly related to your relationship and how easy you are to manipulate. Some of it is the breed. Kudo’s to this family who finds a way to go above and beyond with Henry. Henry is also an eternal optimist. He sits patiently, not making a noise unless you count drool hitting the floor, waiting for me to drop something. I usually let him lick my plate when I finish!! We have been talking about training and living with the Weimar. I think it serves us well to remember they have stealth on their side. They are cunning and crafty as well. Henry loves to let himself back in the house when he is outside. This morning I started training him to close the door. Tonight, he is closing it without me pointing at it, I’m confident he will be closing doors soon. Still such a smart boy. Henry is amazing, but so are his humans. Kudos to both! Click here to read the last blog that featured this lovely Oregon Weimar. Henry’s newest trick. Bring me everything I need to take him on a walk. First, he brought my hat, then my shoes. He has yet to bring an unmatched pair. And he is a blessing. Most of the time, lol. He loves to chew on wood, he finally has a victim….bamboo coasters. I told Kevin last night that Henry is a wild boy sometimes, but at least he has only ruined our coasters. Lol. Have we mentioned that we meet the most incredible people in the world? Kiley is amazing with Henry. When she is not orchestrating a family event–like the laundry, an outing, or whatever Henry has planned you might find her saving lives. That’s right — Kiley is a nurse. I am sure she has a more impressive title, but to anyone who ever needed specialized medical care for their self or someone they love, we can agree nurses are incredible. Thank you, Kiley, for letting us use your video and photos and for sharing your Henry tails. We sincerely appreciate your dedication and your sense of humor. Hi guys, I hope your summer has gone well. Just wanted to send some photos from our grouse opener weekend- (between me, a friend and George from Stackhouse and Mousse) we hit about 15 dusky and ruffed grouse over 3 days! We were hunting in north central Washington, there’s a lot of empty public space out there. It’s not as high as our Cascades are there, normally I see mostly duskies and rarely ruffs but this was the opposite. For those that don’t know–, these are forest grouse or mountain grouse. Dusky/blue grouse are northwest birds but ruffed grouse are the nature northern part of the continent. You see both in thick forests and blue grouse only usually above 4 or 5000 feet. The other American grouse species like sage grouse or prairie chickens or sharp tailed grouse are mostly plains or desert birds so that would be more likely what you’d see down your way. We appreciate the update and news that George is proving to be a worthy Versatile Hunting Companion. The work you put in is paying dividends. Although many non-hunters read our blog, it is important to remember that the Weimaraner is a Versatile Hunting Companion. When properly trained they can be an all-around companion and swell family member. Having a job (such as hunting) is a great outlet for them. Many non-traditional hunters are taking up Shed Hunting or Truffle hunting. Oregon Truffles are a thing! The Weimaraner nose should be ideal when trained to search for this treasure–click here! George has a job (probably more than one) and whatever the Weimaraner’s role in the household they need to do more than being a couch sitter. The Grouse is not a frequent topic of discussion as our Sage Grouse (Sage Hens) are somewhat elusive and require a tag. The numbers are fair; however, there is great concern over their future. The wildfires that ravaged vast expanses of BLM ground during the last few years have damaged habitat. Who can gauge what the long term effect this burn off will have on these birds and other wildlife? Here are some links if this is of interest. Hi guys, just wanted to touch base. George had his NA (NAVHDA Natural Ability) test last weekend. He pointed 3 chukars during the field search (even grabbed one on the wing) and, taking after Stackhouse it sounds like, has turned into an enthusiastic and strong swimmer, but blew the tracking phase. He’s tracked dozens, maybe hundreds of birds this year so that was disappointing. I have my theories but it is what it is. only took home a Prize III and we were hoping for more but it’s just a trial and he’s already a proven field dog. I thought I’d send over some photos we got. I hope everything’s going well. Earning any Prize is noteworthy. We always have to remind ourselves even though the Weimaraner has a steady skill set that on a given day any number of things can go awry. Everyone covets the Prize I and some folks travel from NAVHDA test to NAVHDA test to snag one. We don’t have that luxury. The most important thing is the field performance. He is a young Weim with a solid set of skills. We are positive that competing in the NAVHDA event even though it didn’t net you the top prize helped cement the skill set even more. Thank you, for doing that and reporting back to us. Also, we love the photos you shared. Keep up the good work with George, and we wish you many years of success in the field. Maverick has been on at least 4 pheasant trips this past season. Each time he did better and better. Bill has high hopes for him in the coming years. He has such a hunt drive that he likes to stalk insects, butterflies, squirrels, etc. If it moves, game on! He is so much fun to watch prance around the yard with his toys, tossing them up in the air and then bolting around at lightning speed. He cracks us up! He also still loves to knead his favorite pillow and cuddle up with me when he does. Our old timer Weimaraner, Sawyer, now 12, tolerates him. Luckily our next door neighbor recently adopted a puppy and he and Maverick get along so well together. They can both go multiple rounds and wear one another out. He has been crate trained from the get go and knows several commands, both verbal and hand. It is lots of fun watching him learn new things. Thank you for another wonderful dog from Owyheestar! It ‘s nice to know our Discovery and Placement Test results proved accurate. Some Weimaraner pups within a given litter (despite the breeding lineage) will always show more potential than others. Our findings are invaluable whether you are a hunter or not. We appreciate the update and the great photos that accompany it. Your loyalty is also greatly appreciated. Before Sawyer (your rescue Weimaraner) you had an OwyheeStar. We cannot say what it means that you came back again. Many of our clients are repeats, and others are referrals. Your return means the world to us. The topic of acquiring Major Medical Insurance for the extreme athletic Weimaraner is not new or novel. Just like their human counterpart an injury can occur. It is very costly and a lengthy process to treat a torn ligament. We always hope nothing like that will happen, but we are talking about a high-speed risky behavior type of situation. Eventually, something will happen, and then you will wish you had the insurance. Consider it! No one can guess what will occur along the path to the end. Eventually, something takes our beloved away from us, and we don’t want it to happen any earlier than it must. When something comes along, we don’t want the pocketbook to be the deciding factor. 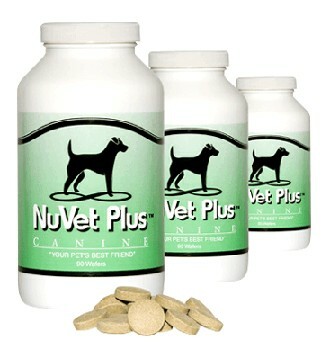 Also, remember the NuVet supplements and our guarantee. Click here to read more! NuVet® products are made in an FDA registered laboratory with natural, human-grade ingredients specially compounded to deliver the most effective nutritional health benefits. Utilizing the latest advances in medical and nutritional science, we apply state of the art manufacturing technologies to help us maintain a standard of product quality and integrity that is virtually unheard of in the pet industry.